Each year group from KS1 and KS2 has two members on the Ethos Committee who represent the different faiths at Saint Barnabas. They have important roles and responsibilities which include regularly meeting with Reverend Freda and the RE/Collective Worship co-ordinator to discuss projects and religious festivals that are celebrated. They hold open doors for the whole school to enter Collective Worship in the hall, light the candle, keep the Collective Worship display up to date and help lead the school prayer. The Ethos Committee evaluate Collective Worship regularly and are the voice of the pupils with regards to worship time at St Barnabas Primary School. 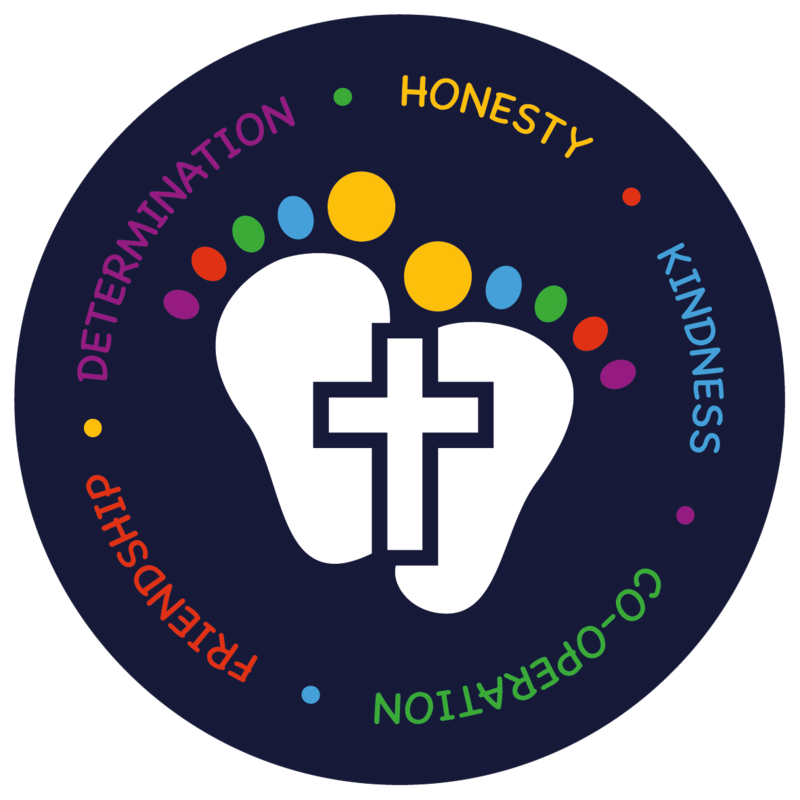 The Ethos Committee plan and lead a whole school Collective Worship once every half term focussing upon one of our school values. "I wanted to join the Ethos Committee to give ideas for our Church services." "I wanted to be part of the Ethos Committee to help lead Collective Worship." "I thought I would be a good member of the Ethos Committee as I have some good ideas for Collective Worship"
"I wanted to be part of the Ethos Committee to help plan Collective Worship." "I wanted to be involved in the Ethos Committee to lead Collective Worship. I have got good ideas to share." "I wanted to join the Ethos Committee to help plan Collective Worship and be involved with doing Collective Worship in the hall." "I wanted to be a part of the Ethos Committee because I want to help the Church and make the school a better place." "I thought I would be a good member of the Ethos Committee as I would like to hear others ideas and help them to develop them to work." "I wanted to join the Ethos Committee because I want to help make the school a better place and develop the prayer tree and other displays." "I wanted to be a part of the Ethos Committee because I want to make the school a better place and help people be nice and helpful to each other. I would like to help the teachers with my creativity. I am also confident to lead Collective Worship." "I wanted to join the Ethos Committee because I want our school to worship God and I have different ideas to add to Collective Worship." "I wanted to be a part of the Ethos Committee to help people with their learning about Jesus and the bible and I want to listen to other religions. I love giving people help to understand who Jesus is. I want to make the school a better place." The ethos committee spent time walking around school with a focus on the environment and how it promotes and showcases our school ethos. Some great ideas have been put forward. Take a look at our findings! Mrs Grice, Mrs Dragon and the ethos committee are now going to get to work to bring the ideas to life!